I'm back in 24/7 glasses mode. Two weeks ago I found I have developed an astigmatism. It's where my corneas are no long spherical, and instead more "football" shaped. It just means I need glasses to correct my vision. Though I'm sure all you smarty pants already knew that. and now, I apologize, but that's going to change. It's rather awesome that glasses are a hot fashion accessory at the moment. So let's just say I'm riding that trendy wave. If only I'd have looked good in a big ol' pair of retro specs. Now that would've been truly swanky. 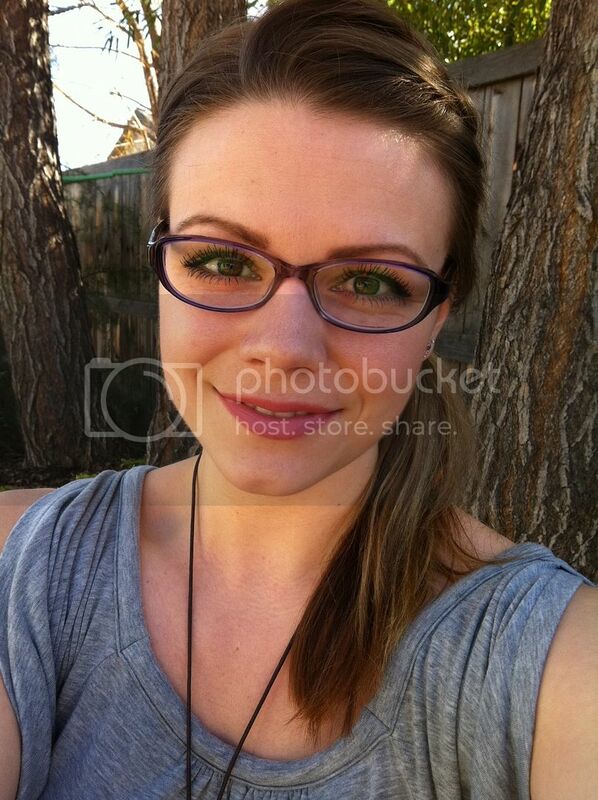 I am thankful that glasses are trendy - it makes me feel less nerd like. But lady - you look super foxy in those frames so you've got nothing to worry about. Also - I wish my giant moon face looked good in giant 80's retro specs as well - but no dice! I follow you on LastLash too.. Your lashes look effing FANTASTIC! I am a recent new follower and I love it over here! Those glasses are great but I'm totally digging that hairstyle. How did you do it?? 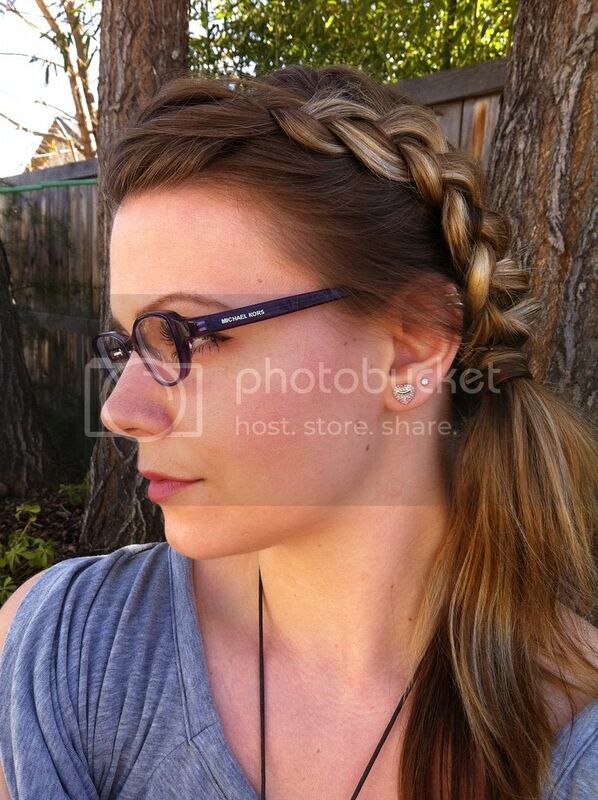 Loving your braid and glasses! I love glasses, and being able to wear glasses, but i do have contacts as well because well sometimes i don't want to wear them, but that is the best part! You can wear them when you want and when you don't you don't have to! Ok soooo enough rambling. I really did come here to tell you I love that braid! Aw your glasses are so cute! You look great in them! I have been guilty of wearing non-prescription glasses just for fashion; love 'em! Bright side: You look great in glasses! I have an astigmatism in both eyes... so annoying! They do have contacts that are special made for it but glasses are better! P.S. I heart the new design! I have an astigmatism too, but I still wear contacts. It's my left eye & when I take my contacts out they are shaped like a football. My contacts have been bothering me for like 2 years, so I have been wearing glasses more around the house. I hate glasses though, especially on me. I look horrible & they drive me crazy (behind my ears hurt, they get dirty so fast with my daughter putting her fingers all over them, they leave a mark on my nose & they keep sliding down). 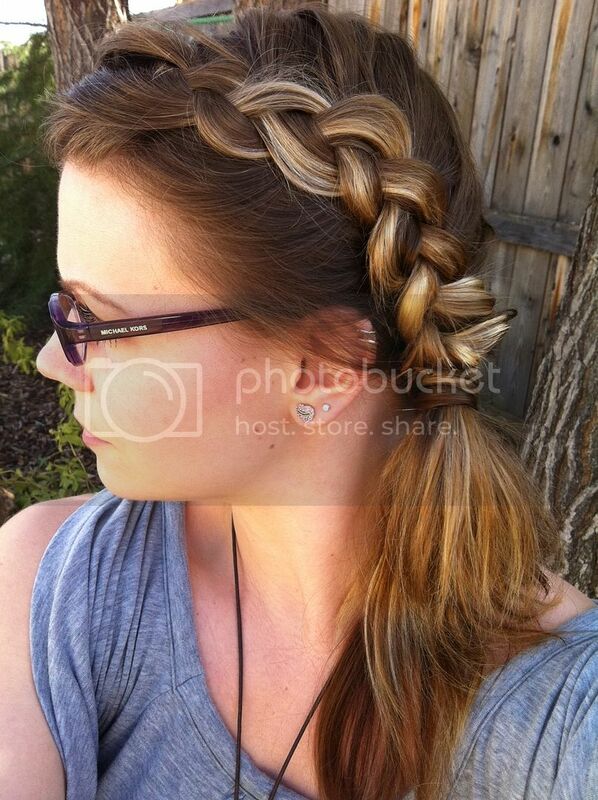 I love that braid. I have astigmatism in my left eye, although I don't wear my glasses as much as I should! Mine are by Jai Kudo. I only wear them for reading and at the computer when my eyes start to hurt. Naughty me! #2 Your eyelashes look great! I have two pairs, one in purple and one in brown + teal. I totally love mine but the prescriptions aren't strong enough... Time to make an appointment with the eye doctor across the street!